Notice the check boxes to the right. Uncheck an item to leave it out of the table of contents. NB Generally the default settings for the dialog should be sufficient. But they can be changed. There is a dropdown menu at the bottom left of the dialog which allows you to select which headings are included in the list to begin with. Above that dropdown menu there is a checkbox. 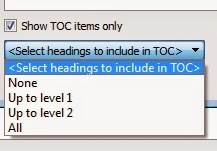 If: ‘show TOC items only’ is checked, the list in the dialog will only show headings which you have decided to include in the toc. With this option set, unchecking an item in the list will cause it to vanish completely! 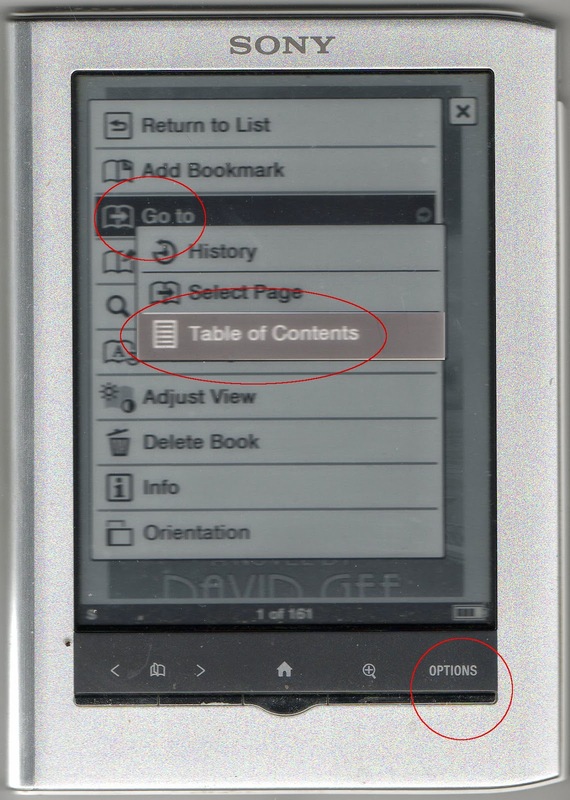 You can, in fact, use the table of contents window to navigate around your e-book. Clicking ‘Chapter One’ takes you to the start of Chapter One, etc. Note that the text displayed in the Table of Contents is whatever was entered inside the <h1> tags, NOT the corresponding filenames. What Sigil has actually done is to create (or rather update) the file: ‘toc.ncx’. The syntax of toc.ncx is very complex, and it is strongly recommended to use Sigil to generate it. toc.ncx will have been correctly linked in the manifest and spine sections of content.opf and you need do nothing else. The logical table of contents will work properly. Then you would follow the procedure above to generate the logical table of contents, toc.ncx. An alternative to making the <h1> tag invisible is to generate the logical table of contents and then delete the <h1> tag entirely. PROVIDED you do not attempt to re-create the table of contents, this should be alright. Whatever you do, DO NOT rely on CSS to style the <h1> tags. 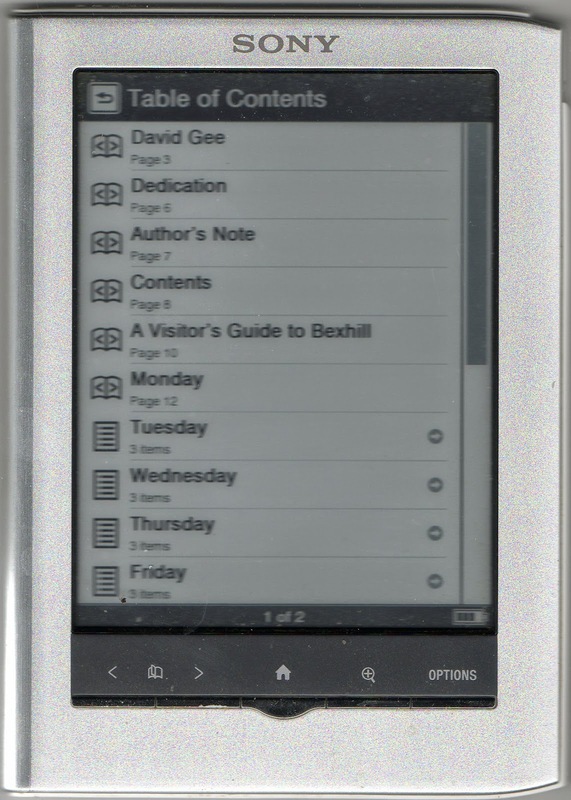 Some e-readers seem to impose their own styling on these tags and, I strongly suspect, on the other <h> tags as well. Either delete them or make them invisible and rely on a <p> tag and CSS styling to display the heading and you can’t go wrong. The above assumes that the <h> tag is the FIRST html tag following the opening <body> tag in the chapter. If your e-book (as is most likely) only consists of a linear sequence of chapters, like in the example above, you are now all done. Click here to skip the next bit. If you have subheadings in your chapters, and want to include them in the table of contents, you will need to read on. I explain the ncx table of contents in detail in my next post but note here that the <text> tag encloses the text which will be displayed in the table of contents. Sigil has entered just what was enclosed by the <h1> tag in the chapter. And note also that in the <content … /> tag the src is Text/Chapter1.xhtml which is the filename and path to the file containing the chapter: Chapter1.xhtml. The item: playOrder is a hang-over from the original purpose of the specification for the ncx: as an index for audio books! That is exactly as it should be and you need do nothing at all with it. If you have only got a linear sequence of chapters with no subheadings, Sigil does all the hard work for you. The file: toc.ncx will be correctly linked in content.opf and will work properly. Once all the <h2> etc. tags have been included in your e-book, follow the procedure above to generate the table of contents. will allow you to rename the entry. Corresponding changes to the tag type and/or content will be made by Sigil in the chapter. Handy though this is, if you have a finished e-book on your hands this feature will probably not be of much use. Style <h> tags which fall at the beginning of chapters to be invisible, following the method above. But don’t do anything about <h2> etc. tags which fall within the text. See below for how to deal with these. Now follow the method above to generate toc.ncx. Sigil has added this label to mark a place in the file for the e-reader software to jump to when the item in the .ncx table of contents is clicked. The filename alone is now no longer sufficient. src="Text/Chapter2.xhtml#sigil_toc_id_1" is the location of the label in the <h2> tag created by Sigil and this entry in toc.ncx tells the e-reader to jump to that location when the link is clicked. Now this is all very well and you can probably live with what Sigil has done. BUT that label: id="sigil_toc_id_1" isn’t very informative and, if you are going to delete the <h2> tag anyway, something has to be done. You will also need to reference the label when creating the HTML table of contents, so having a machine-generated label is a right old nuisance. What you need is something more user-friendly. OR, following my method, edit the <p> tags to include a meaningful label. NB class="chapterSubHeading" applies the styling you want using CSS to the sub-heading. As I have said elsewhere, please use single text strings with NO SPACES for the labels and filenames and make sure the labels used to identify each subheading are unique. The text displayed in the chapter CAN be repeated but the LABELS should each be different (at least within the same chapter). And MAKE SURE THE LABELS MATCH in the chapter and in toc.ncx. Remember they should be single text strings with No SPACES and are CAse SEnSiTIvE! You will notice that following the first <navpoint … > tag instead of a closing </navpoint> tag there is another opening <navpoint … > tag. This IS closed by </navpoint>, followed by the missing closing </navpoint> tag. In other words, the subheading is NESTED inside the heading in the ncx. It is a hierarchical table of contents. 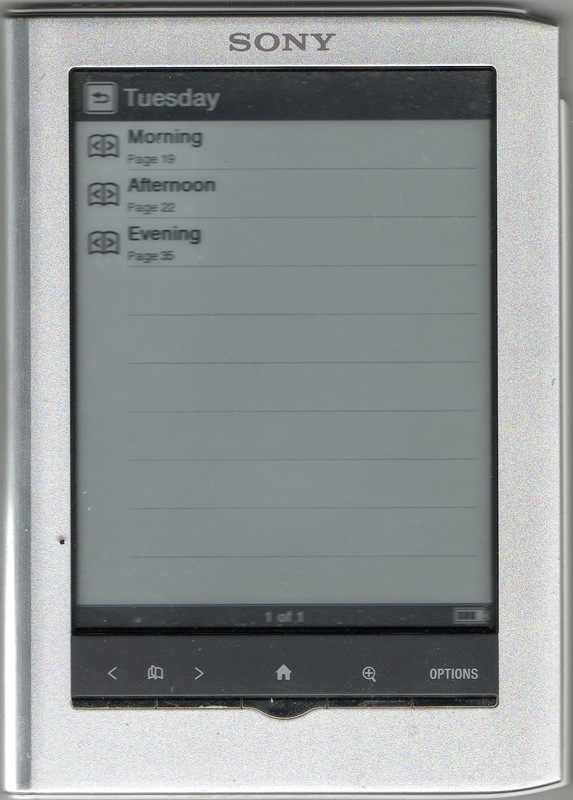 When the ncx is displayed by the e-reader, depending on the particular device, it will be set off in some way, most likely by being indented on the left. Sigil has taken care of this for you. You will now have a working toc.ncx correctly linked in content.opf. IMPORTANT: If you have styled any of the <h> tags to be invisible, you will have to delete them when you convert your epub to a kindle, as the Kindle will ignore a display property with a value of ‘none’. 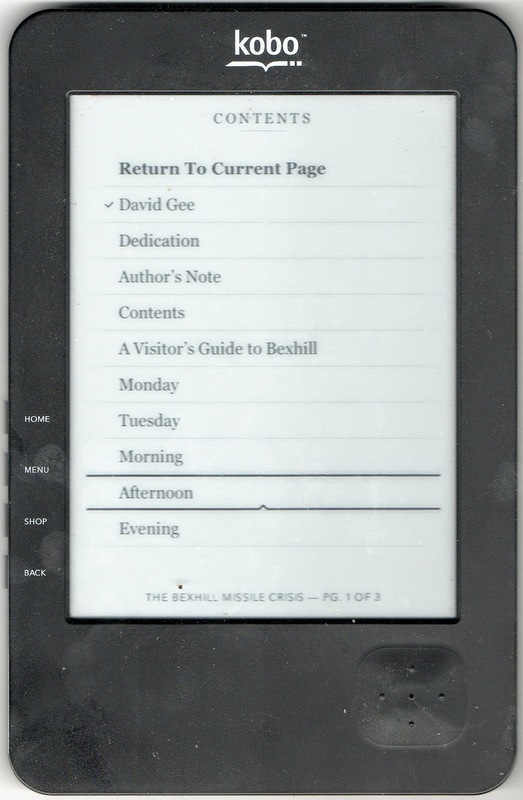 This is how the Sony e-reader software copes with toc.ncx. Next Step: You are now ready to generate the HTML table of contents. My next post will be a reference to the syntax of toc.ncx. Why do you add the css to make h1 invisible if you're just going to delete them before converting to mobi? I put in the chapter headings at the beginning of the seven chapters - hit compose table of contents, a window came up as you suggested with NO entries. There's no way to add entries. It just sits there. I did something wrong but there's nothing in this program telling you what. help?